Mercury is emitted into the environment via natural processes such as volcanic eruptions and industrial processes in large refineries and coal fired electricity generation facilities. This PhD research project aims to deliver highly sensitive and selective sensors for the online monitoring of mercury which can operate under the harsh environments found in many industrial applications. The research project will focus on developing tailored nano-engineered metallic and bimetallic surfaces through facile electrochemical and chemical methods and studying their interaction with mercury vapour at the nano level. The positions are based at the City campus of the School of Applied Sciences through a joint collaborative project with Alcoa World Alumina (Australia) and BHP Billiton. Open to both local and international students. The successful applicants will have a first class honours Bachelor degree in either applied sciences or chemical engineering, with a strong desire to work in the field of chemical sensors and/or material sciences. Top-up Scholarship of up to $10,000 per annum is available to doctoral students who gain an Australian Postgraduate Award (APA) scholarship starting in 2012. For further information please contact Dr Samuel Ippolito or Professor Suresh Bhargava. 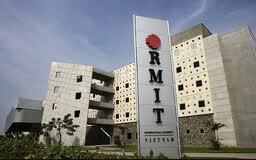 Demikian kami sampaikan tentang PhD Research Scholarship, Chemical Sensors / Materials Sciences, RMIT University, Australia semoga informasi tentang PhD Research Scholarship, Chemical Sensors / Materials Sciences, RMIT University, Australia ini bermanfaat.